Today's Coffee Brake came as an idea and zip from Zach Z -- name all the carcasses in the photos in this craigslist posting. 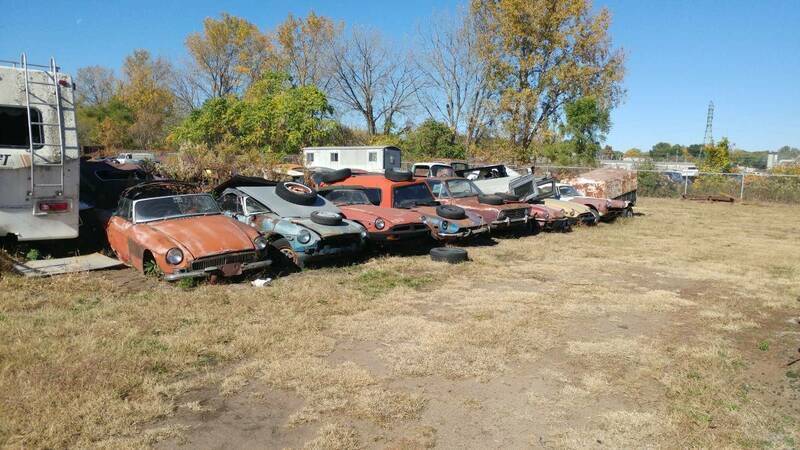 What are those truck bed toppers balanced on those poor roadsters? 5th nose poking out in the front row looks like a '69 Cortina. MGB x 3, Datsun Z, Cortina Mark 2, Spitfire, MGB, Alpine. 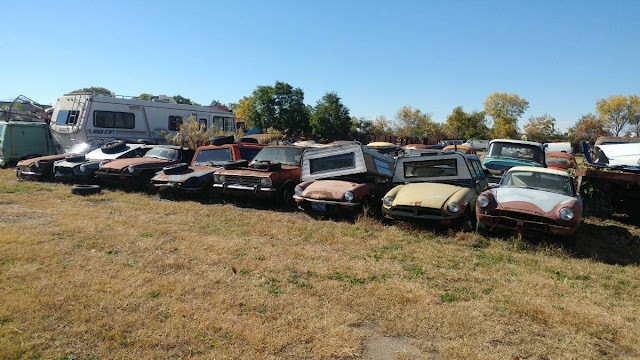 MGB, 240Z, MGB, 240Z, MkII Cortina, Triumph Spitfire, MGB, Sunbeam Alpine. I think the second one is a Fiat 124 Convertible. I think the pick-up toppers are to keep the rain out of the roadsters. Datsun concept camper I'm sure. I think you're right. I thought those were pin stripes, but then realize that the XJ's pinstripes were usually along the body crease just below the door handle, rather than above. Wonder what it is. Also a wagon in front of the black sedan, maybe an Herald estate?